In this week’s ETFS Trade idea, we look at platinum, the rarest of the precious metals, whose price has been trending downwards in recent months. We take a look at whether platinum might be oversold and how fundamentals and macro trends support a near-term price rise. We finish by looking at ways investors can gain exposure to the rare metal. Platinum’s unique chemical properties make it a choice element in industry. Industrial uses include electrics, medical equipment and, most importantly, catalytic converters in diesel cars, buses and trucks. Platinum is also a popular metal in jewellery due to its resistance to warping. Platinum has performed poorly in 2018, with its spot price sinking from a January peak of $1,016 per ounce to $790 as of mid-August. Year-to-date, platinum has fallen 23%, while gold has fallen roughly 10%. Taking a longer-term view, platinum’s spot price seems to have peaked – like gold, with which it correlates quite closely – in 2011 at around $1,855 per ounce. 1. There could be some reversion to the mean in platinum’s parity in gold: at present platinum is only tracking gold on the downside and not the upside. 2. Trends within South Africa itself are likely to support long-term a price hike. These include heightened political risks facing miners and higher utilities costs. 3. Diesel engine production continues to rise in absolute terms, especially given strong demand in Asia. Diesel cars are not “dead” in Europe, as is sometimes implied in the press. 4. Today’s platinum prices in the $790s are below production costs, data suggests. This means that miners will likely cut back on production, which will widen out the already existing supply deficit. We expect that the supply deficit will grow until prices bounce back. In our view, some mean reversion in the near term is likely due to supply and demand dynamics (detailed below) but also due to renewed investor interest in response to these dynamics. As platinum correlates with gold, it offers similar portfolio diversification benefits and upside potential. (David Hillier, 2006) For this reason, we expect investor interest to rekindle as prices recover, helping stabilise demand. South Africa is a one-party state, with the African National Congress ruling since apartheid ended, making an EFF government unlikely. But, as is often the case in politics, the danger lies not so much in the minority party seizing power but in its ability to force mainstream parties to adopt part of its platform. Outside dilution fears, South African miners have hit a wall of difficulties: community unrest and union disputes over pay; skyrocketing electricity costs; and production disruptions from maintenance and safety stoppages. (Johnson Matthey, 2018) These ongoing difficulties – while not sufficient to drive up prices – are compounding the pressures caused by low platinum prices. In response to these difficulties, the past two years has witnessed industry rationalisation. Lonmin, the third largest platinum miner, sold off much of its platinum assets to another miner. (Sanjeeban Sarkar, 2017) Impala, the second largest platinum miner, shut several platinum mines in March 2018 and has indicated it will fire 13,000 staff over 2018 and 2019. (Miller, 2018) Platinum Group Metals closed a major platinum mine mid-2017 due to it being unprofitable. (Seccombe, 2018) These shaft closures and production cuts, in our view, add to the likelihood of a sharpening platinum supply deficit, which in turn will place upward pressure on pricing. There is also evidence that platinum prices below $790 an ounce, as they are at present, are unsustainable as they fall below production costs. 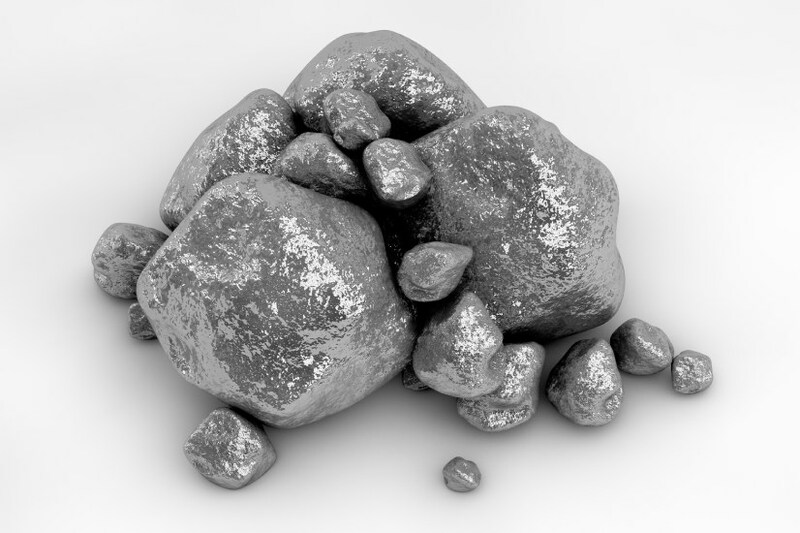 By general consensus, the all-in sustainability cost (AISC) to pull an ounce of platinum out of a South African mine is above $900 an ounce. (Thomson Reuters, 2018) A recent report from Anglo American – the world’s largest and South Africa’s most efficient platinum miner – said that its AISC was $955 an ounce in 2017. (Anglo American Platinum, 2017) Production costs in North America and Zimbabwe where platinum is also mined – albeit in significantly smaller quantities – are estimated to be similar. (Statista, 2016) Only in Russia, which is currently under strict US and EU trade sanctions, is platinum trading at below AISC. Russia produces platinum in too small a quantity to alter the world average. Historically, commodities can and have traded below their AISC or marginal costs. But a situation where platinum is trading significantly below production costs – as it appears to be at present – will incentivise supply cuts and add upward pressure on prices. While in decline in Europe, European diesel cars still have a lot of “dying” left to do. According to the same numbers from the ACEA, diesel cars still make up 45% of Western European passenger cars. And although diesel’s market share may be declining, in absolute sales terms the number of diesel cars being sold globally is increasing, suggesting the mainstay of platinum demand is well supported. For any investors dicing up the opportunity platinum affords, ETFS Physical Platinum ETF (ETPMPT) offers a one-of-a-kind solution. ETPMPT is 100% physically backed by platinum bullion, held in HSBC’s vaults in London. Every bar of platinum meets the London Platinum and Palladium Association's rules for Good Delivery, and every bar is segregated and allocated. As ETPMPT is physically backed there is zero credit risk. And because it can be redeemed for platinum bars, any deviations from platinum’s spot price will be quickly arbitraged out. ETPMPT is the only product of its kind available in Australia and offers a uniquely secure play on platinum. How to invest in physical platinum?